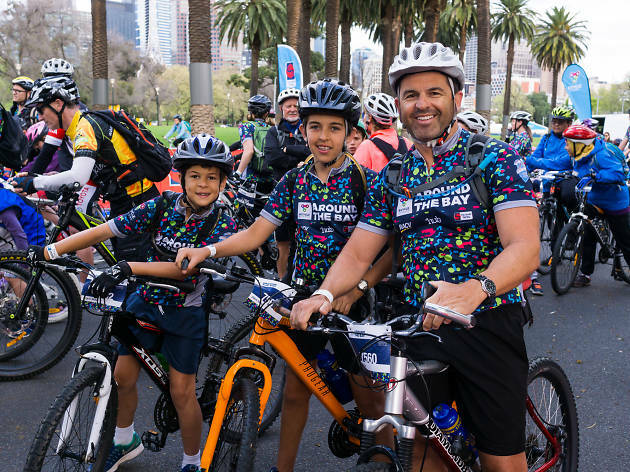 Australia's largest one-day bike ride, the United Energy Around the Bay, is wheeling into town for its 26th year on Sunday October 7. 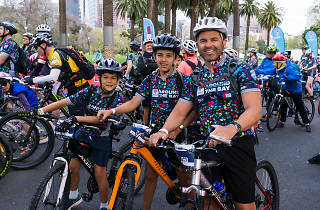 This springtime cycle will see participants hop on their bikes to ride around Melbourne's scenic Port Phillip Bay. First up, you'll need to choose your route option: there are 10 options, ranging from the family-friendly 20km ride right through to the challenging 300km option, which includes a heart-thumping (but very scenic) ride up Arthur’s Seat. Other rides on offer navigate checkpoints along the beautiful Mornington Peninsula, Mt Martha, Frankston, Mordialloc and St Kilda, and take in beautiful coastlines, historical sites and winding roads along the way. If you sign up before Friday July 27, you'll get a special early bird discount on entry and receive a bonus jersey valued at $90. As always the United Energy Around the Bay endeavours to raise fund for charity partner the Smith Family, who assist disadvantaged Australian children and families. So plan your ride, start training and mark your diary for the great ride.